Dr. Weihang Chai has mentored graduate students and trained postdoctoral fellows at WSU. She currently has two postdoctoral trainees in her research lab, and is on dissertation committees for graduate students from the School of Molecular Biosciences and College of Pharmacy. In addition, she was the course chair for the immunology curriculum for first-year medical students at WSU Spokane from 2009-2014. The overall goal of research in my lab is to understand the mechanisms governing genome stability, and more importantly, how we can apply new knowledge to prevent genome instability as well as to fight against cancer and aging-related diseases. We are carrying out three areas of research in parallel: a) maintenance of the stability of fragile sites in the genome in response to environmental genotoxins, b) maintenance of telomere integrity, and c) translational research. We apply innovative approaches including next-generation sequencing, advanced fluorescent microscopy, and genome editing to accomplish our research goals. Research Area 1 – Understanding the maintenance of genome stability in response to replication stress induced by environmental genotoxins (funded by R01): DNA damage constitutes a major threat to genetic integrity, and has thus been implicated in the pathogenesis beyond cancer. Elucidating the mechanism safeguarding genome stability is important for understanding the mechanism underlying carcinogenesis. Genome integrity is constantly threatened by endogenous and exogenous agents arising from cellular metabolic processes as well as environmental exposure, many of which impede normal DNA replication and cause replication fork stalling. Stalled forks need to be properly repaired and rescued to prevent DNA lesions and genome instabilities that contribute to tumorigenesis. To repair and rescue stalled replication, a network of proteins regulating DNA damage response, DNA repair, replication, and cell cycle checkpoints are activated in response to stalled replication in order to stabilize and restart stalled forks. However, the mechanism underlying fork repair is poorly understood. We and others have found that the CTC1/STN1/TEN1 complex (CST) is a novel guardian that protects genome stability in human cells. Our lab is focusing on understanding the functions of this novel player in protecting genome stability under replication stress, in particular, what is the role of CST in restarting stalled replication; what molecular mechanism CST employs to counter replication stress; as well as how it interplays with other proteins to accurately restart stalled forks. In addition, we are interested in applying knowledge learned from our basic research to facilitate the design of cancer therapy by targeting replication stress. Research Area 2 – Mechanism for telomere maintenance: Telomeres, the physical ends of eukaryotic chromosomes, play a key role in protecting genome stability. Telomere is a unique structure consisting of tandem repetitive DNA sequence, telomere binding proteins, and unique telomeric heterochromatin. These telomeric components are precisely assembled at chromosome ends, and they interact with each other in an orderly manner to ensure that telomere integrity is preserved. Disruption of telomere integrity causes chromosomal abnormalities, leading to cancer and premature aging disorders. Therefore, revealing the roles of telomeric components in maintaining telomere integrity is expected to assist in devising effective anti-aging and anti-cancer strategies. We are interested in understanding how telomere stability is maintained in human cells. Research Area 3 – Understanding the role of telomere sequence insertion in carcinogenesis (funded by R03). Telomeric repeats are usually confined at chromosome ends. Aberrant insertion of telomeric sequences into intra-chromosomal regions (known as telomere sequence insertion, or TSI) leads to genome instabilities that contribute to carcinogenesis, and thus must be suppressed. The mechanism underlying such suppression is currently unknown. Recently, we unexpectedly discovered that TSI may arise from erroneous telomeric sequence addition by telomerase at or near DSBs. This is consistent with previous reports that telomerase is able to promiscuously add telomeric repeats to non-telomeric templates. We also identify that MLH1 plays an important role in suppressing TSI. We are interested in understanding how TSI is suppressed in human cells and how dysregulation of TSI suppression contributes to cancer formation. Faya Zhang, PhD: 2017 July-Dec.
Emiliano Reed: Undergrad from WSU. Jacob Mallery: Undergrad from WSU. Bryce Burnett: Undergrad from EWU. Annie Morgan: Undergraduate from Harvard Univ. Currently enrolled in MD, PhD program at Harvard. Kathryn Schubert: Undergraduate from Gonzaga Univ. Natalie Schennum: Undergraduate from Gonzaga Univ. Alex Diamond: Undergrad from Gonzaga Univ. Wang, Y., *Chai, W. (2018) Pathogenic CTC1 mutations cause global genome instabilities under replication stress. Nucleic Acids Res. 46 (8): 3981-3992. Jia P., *Chai W. (2018) The MLH1 ATPase domain is needed for suppressing aberrant formation of interstitial telomeric sequences. DNA repair. 65:20-25. Huang, C., Jia, P., Chastain, M., Shiva, O., Dai, X., *Chai, W. (2017) The Human CTC1/STN1/TEN1 Complex Localizes in ALT-Associated PML Bodies and Regulates Telomere maintenance in ALT cancer cells. Exp Cell Res. 355(2):95-104. Jia, P., Chastain, M., Zou, Y., Her, C., *Chai, W. (2017) Human MLH1 suppresses the insertion of telomeric sequences at intra-chromosomal sites in telomerase-expressing cells. Nucleic Acids Res. 45(3):1219-1232. 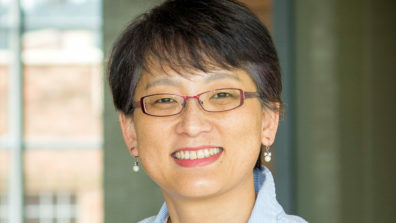 Jia, P., Her, C., *Chai, W. (2015) DNA Excision Repair at Telomeres. DNA Repair. 36:137-45. Fadri-Moskwik, F., Zhou, V.Q., *Chai, W. (2013) Beyond Telomerase: Telomere Instability as a Novel Target for Cancer Therapy. J Mol Genet Med. 7: 91 DOI: 10.4172/1747-0862.10000 91.